Sigma & Octantis is now the only Login Reward without a unique gimmick now that Cobra & Crane exists and can throw its shield too. With Melee 3.0, will the Sigma receive a new unique feature, and will previous and future Blade and Shields like Silva & Aegis and Ack & Brunt receive the Shield throw attack? With the release of directional air slams in Melee 2.9, Zephyr's "Divebomb" is looking even worse as its range is now just about par with standard Melee ground slams, its damage doesn't scale with mods, and it costs Energy. Between this and Tailwind's current issues with players being stuck running in place for a bit when they dash into the ground and getting sucked into walls they dash into them due to how Tailwind handles momentum, she is in a very awkward place right now. Could Zephyr please receive some improvements and bugfixes in the near future? Will there be a second pass over the content introduced in Fortuna 2.0? 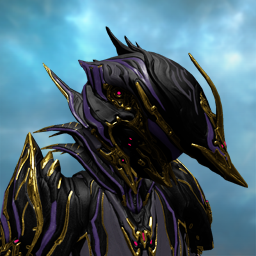 Baruuk seems largely ignored since his release whereas many past Warframes got tune ups post release like Garuda and Revenant. Additionally, acquiring the three new resources introduced in the Profit Taker bounties is extremely tedious and RNG dependent. After 10+ Runs and only 5 Gyromags towards new Amps and attempting to rank up in Vox Solaris, this new grind feels far worse than most in the game so far because there's no degree of certainty to it and the amount we need is so high. My questions for this DevStream are all about the current handling of loadouts: - The only thing left that we can't really control between different loadout slots is Kavats and Kubrows. I can use a Smeeta Kavat on my Nekros loadout, but that means I can't use any of the other currently 6 different types of pets in any of my other loadouts. I would love to see an overhaul to the Incubator and handling of our pets so we can use them more smoothly, since their current state feels really awkward and arbitrary. - Can the number of available loadout slots increase soon? I'd love to have one for each unique Warframe, which is currently impossible. - Could reordering tools for Mod loadouts and loadout slots be looked into? In DevStream 117 we got our first look at Archwing Weapons coming to standard gameplay. I'm sure that's farther down the to do list with melee 3.0 and Fortune Part 2 still to come, but I wanted to ask: Will this mean we get our first ever Primed Arch Gun and Melee in the near future to use alongside this change, and our first ever Primed Mods for these weapon types? Thanks as always for your hard work and happy holidays! I still have some major concerns about Titania, though the Tribute and Razorwing changes are absolute highlights here and very welcome. - Titania still has the lowest Base Stat pool of any Warframe in the game (Health, Shield, Armor, Sprint Speed, Energy are all "Average" values), matching Excalibur before his rework. Her base stats actually look like placeholder values. - All four of her abilities still have massive cast times. - Spellbind still has really tiny range. - Thorns will remain the weakest Tribute because the amount of damage we need to kill enemies is vastly different from the amount they need to do to kill us. An unmodded Titania with Thorns will deal 300 damage to enemies with Thorns before entering Bleedout state. That's not nearly enough to kill any meaningful threat. And this is true for Trinity's Link too. But Trinity's Link is good because it comes with 50% Damage reduction. Damage reflection in general in Warframe will always be bad unless you reduce the Health of every enemy in the game to be closer to the values that we the players have. Its a non-reflective damage scale right now. Thorns should have its effect replaced, or the damage system needs a rework to make Confusion and Damage reflection effects better as a whole. - Lantern'd enemies still don't take damage until they explode/expire. I really think you should take Nyx's coding for Mind Control where the affected enemies "take damage" still while controlled and it instantly applies when the ability expires. - You can Lantern 4 enemies in this rework, but without Mods, Titania can only afford to cast Lantern twice at full Energy. Three times with just Streamline. Titania needs either more Base Energy, or consider something like getting Energy over time when near a Lantern or regaining Energy when picking up Tribute buffs (Both of which could give her more roles in a team as like an aggressive alternative to Trinity). She has major Energy economy issues as of now. Taking a moment to focus on positives though, you guys rocked it with Nyx. My concerns about the state of the damage scale apply a bit less to Nyx due to Psychic Bolt's plans, but please do double check performance on each faction at Level 60-100 of Chaos + Psychic Bolts to see how long it takes for enemies to effectively destroy each other. It sounds like a great direction though! With Melee 3.0 and the amount of love Fang Prime has been getting between the Twitch Prime promotion and the previous Melee DevStreams, I wanted to ask if we will finally see Dual Daggers get access to the currently single Dagger only Covert Lethality mod in Melee 3.0? Thanks and good luck to everyone on the DE team! With the Melee change, will 1-handed Melee Weapons with a Syndicate Weapon mod (The Kestrel, Mire, Prisma Skana, etc) be able to Syndicate Proc while dual-wielded with a 1-handed Pistol? Also, its been a while since we got new Syndicate Weapon mods, could we perhaps celebrate this new system with a suite of new mods for Melee weapons? This already looks to be one of my favorite reworks to date, and Warframe reworks are my favorite updates we get. Here's hoping we get more great ones soon, and excellent job with Nezha! Are there any plans to continue revisiting the plethora of Offensive First Abilities to afford them better curving and utility, akin to the buffs Oberon's Smite received in his rework? A lot of abilities like Fireball, Freeze, Soul Punch, Ripline, Shock, Tempest Barrage, Sonic Boom, and Tesla can barely make a real dent in any enemies past Level 10. The ability that concerns me the most of these is Soul Punch, which has no synergy or interaction with any of Nekros' other Powers, scaling, and doesn't seem to have a role in his kit. Thanks for your time, hard work, and dedication! Hello, DE Crew! My melee related question for today is: With Melee 3.0, will you be promoting "roles" within Stance/Weapon categories? When we saw the recent balance passes to Primaries and Sidearms, we saw kind of clear definitions using Mastery Rank of "This is the early game revolver, and here's the late game revolver". But melee has a very diverse stat pool thanks to parameters like Range, Slam Attack Damage and Radius, Air Melee, Channeling Efficiency and Damage, Critical and Status having very unique mods in Blood Rush and Condition Overload, and cool unique effects tied to weapons like the Skiajati. It feels like we could have "Here's the Electric Nunchaku with high status and a wide electric slam, and here's the fast high critical Impact Nunchaku, and now we have a new slow but powerful Blast Nunchaku with large range coming soon" rather than a series of Iron Sword, Steel Sword, Silver Sword, Gold Sword. I'm sure we'll have some of that MR related stat balancing approach in more populated categories like Single Swords, Dual Swords, Polearms, Hammers, etc, but can you please try to promote as much diversity in playstyles among these melee weapons as possible? Also I picked Nunchaku to bring up that it has been almost 3 years since we got our last pair, the Shaku. Can we get some new ones soon? Thanks for all your hard work, and good luck with Melee 3.0! Hello, DE! A few DevStreams ago just around Zephyr Prime's launch, Scott mentioned briefly some upcoming improvements coming for her including a Flight Speed buff for Airburst. I wanted to ask if that's still on the table and if any more potential buffs are being discussed? As a personal note on that front, I think Turbulence and Tornado feel great right now but Tailwind and Airburst still feel like their stat knobs are turned too low in terms of Range, Speed, and Damage. Thanks for all your hard work and dedication, and have a great day everyone! Previously on a DevStream before Khora's release, it was mentioned that Zephyr's Air Burst may get a Flight Speed buff. With Warframe balance passes back on the table, what other changes to Zephyr are being considered at the moment? Personally I would love to see the hit box/shape of Air Burst adjusted so it accidentally hits walls and cover objects less frequently, maybe made sphere shaped instead of wave shaped. Thanks for taking the time to review Warframe performance again, as its honestly the thing that gets me the most excited for updates since its changing the vehicles through which I experience all the other content in the game.